We’ve been good about the giveaways here of late. (We promised!) However, we’ve been limiting the contests to the U.S. and Canada because shipping is expensive. But I love all of the VBC readers, so today we’re doing an international giveaway. Not just any giveaway either. I’ve picked three of my favorite—and most recommended—books to be the prize here. Think of it as the Taste of VBC Giveaway. We have one urban fantasy, one young adult, and one paranormal romance novel. Basically your VBC trifecta. Entering is simple via the Rafflecopter form below, and you totally get bonus points for commenting with a book you discovered through VBC. The Immortal Rules by Julie Kagawa – YA with a heroine fighting her nature and working to be a better person. Also: Hot boys. Fill out the Rafflecopter for your chance to win. This contest is open internationally, provided The Book Depository ships to your country. I have discovered quite a few new authors from VBC. Stacia Kane is one of them. Thanks for the awesome giveaway. 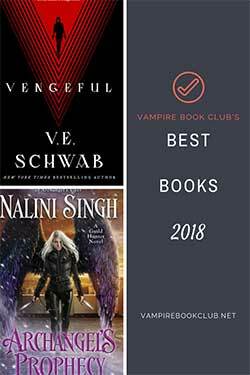 Yes i have found new authors through vampire book club. Fallen by julie morgan and many more. Thank you for the oppertunity to win these fabulous books. The first day I joined Chelsea told me I should try Stacia Kane which is now one of my favorite series and from there my addiction to books started, form here I found Jeannine Frost, Amanda Carlson, Karina Cooper, Darynda Jones Carolyn Crane and Rachel Vincent and the list goes on. Thank you for all your recommendations. Cress by Marissa Meyer caught my interest on your blog! I´m going to read it as soon as possible! Yes, I have but I haven’t read them yet but they’re on my tbr pile. I discovered Larissa Ione’s and Karina Cooper’s books through VBC. I’m positive that I have but I discover new authors all the time from allover the place so I can’t honestly give you a name. This is the site I used to create my urban fantasy reading list. I have now read all the books/series from those recommendations. I have found all my favorite authors from that list. Thank you VBC! I love getting new UF rec’s from VBC! I’ve gotten burned with that genre, but you guys do a great job of pointing out the great ones! Oh yes, I’ve discovered quite a few fantastic books from VBC. That’s one big reason I love reading the blog, so many wonderful books are featured. I always look to see if I am missing a series from the alpha showdown! I discovered the Secret McQueen series from sierra dean! I have discovered lots of books and authors from VBC-too numerous to list. Thanks for the giveaway! Yes I have and I cant wait for more .Thanks for the giveaway. I always look here for new and interesting authors… But it just so happens that the three authors in this giveaway are on my go to list for great books. I have and I always looking for new authors. Thank you for the contest. There are so many but my favorite when I signed up was the Sookie Stackhouse books. Thank you for all the great reads. Please keep them coming. I have found many great new books on VBC including the Demonica series by Larissa Ione and the Downside Ghosts series by Stacia Kane. I also love your Alpha Showdown. Thanks for the fantastic giveaway! Yes, I’ve found several new authors because of your reviews! Thanks so much!! Thanks for the giveaway 🙂 I’ve discovered many new books from this site. The main ones are Downside Ghosts by Stacia Kane and the Night Huntress series by Jeaniene Frost. 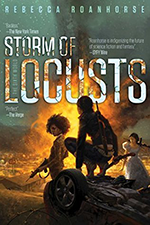 I had been debating reading Seanan McGuire’s October Daye series and Pamela Palmer’s Feral Warriors series, but your recent blogs regarding both have helped me make up my mind to try them out! 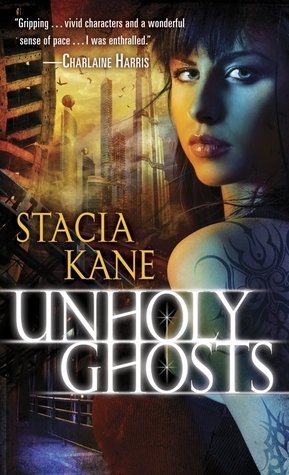 I have not read any books by VBC….. but would love to read Unholy Ghosts honestly! Thanks for the giveaway and fabulous post! I’ve discovered Morganville Vampires series through your site. I havent read any of them…. would love to win them! I’m positive I have, none come immediately to mind. I keep the VBC bookmarked and check in all the time to see what’s new. I have found so many new series and stand alones from VBC. Love Stacia Kane and have heard a lot of good things about Karina Cooper. Yeah,I think Red Headed StepChild series I discovered here,love the blig,annd awesome giveaway! I’ve read this Stacia Kane, so I am excited about the other 2. I have discovered a lot of great UF series from you ladies. Your one of the first places I go to for reviews and recs. I love your site for reviews and neat stuff! I discovered Marissa Meyer through your blog (I should say that I learned enough to really pique my interest!) and Stacia Kane. I also love the Alpha showdown (I always look for new Alphas to get to know! ), even though my favorite alpha never seems to win anything 😉 I also really appreciate a blog that draws a line between paranormal, YA, and UF and makes it clear in each review! Thank you!! I love Julie Kagawa..it was thru her twitter that i learned about you guys. I want to have a copy of her Blood of Eden! coz Vampires will always kickass and her Vamp Allie is so badass!